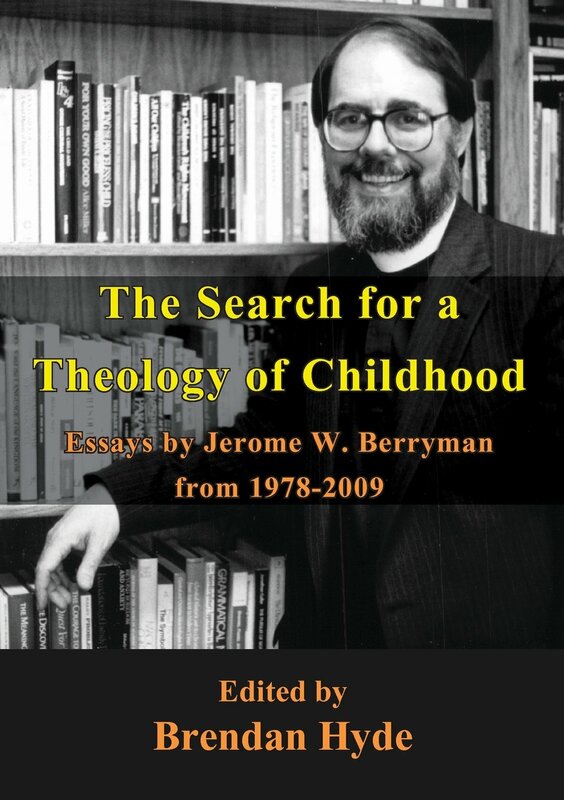 The Search for a Theology of Childhood: Essays by Jerome W. Berryman from 1978-2009, Edited by Brendan Hyde, (Ballarat, VIC, Australia: Connor Court Publishing Pty Ltd., 2013). The Spiritual Guidance of Children: Montessori, Godly Play, and the Future, (New York: Morehouse Publishing, 2013). 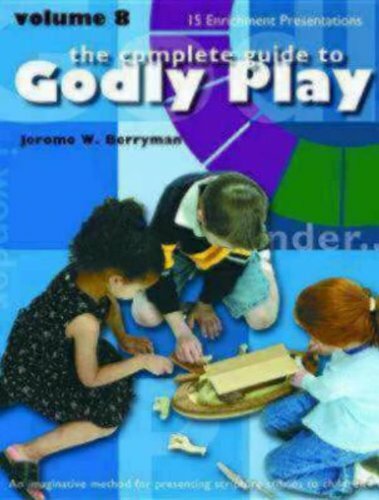 The Complete Guide to Godly Play, Volume 8 (Denver, CO: Morehouse Education Resources, 2012). 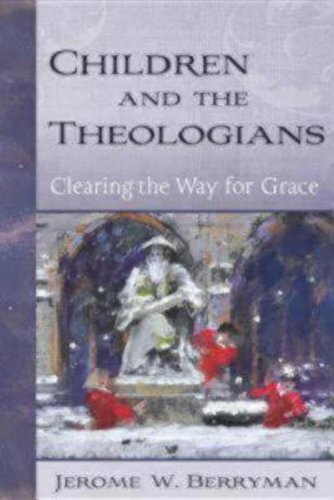 Children and the Theologians: Clearing the Way for Grace, (New York: Morehouse Publishing, 2009). 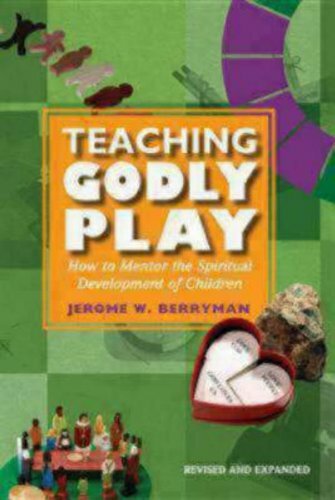 Teaching Godly Play: How to Mentor the Spiritual Development of Children (2nd edition, revised and expanded), (Denver, CO: Morehouse Education Resources, 2009). 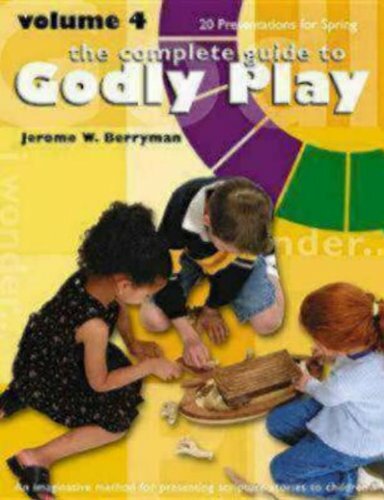 The Complete Guide to Godly Play, Volume 7 (Denver, CO: Morehouse Education Resources, 2008). The Complete Guide to Godly Play, Volume 6 (Denver, CO: Living the Good News, 2006). The Complete Guide to Godly Play, Volume 4 (Denver, CO: Living the Good News, 2003). 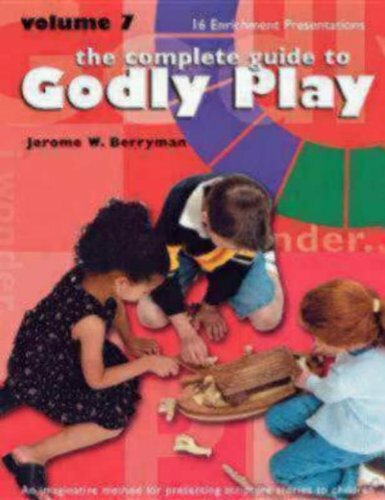 The Complete Guide to Godly Play, Volume 3 (Denver, CO: Living the Good News, 2002). 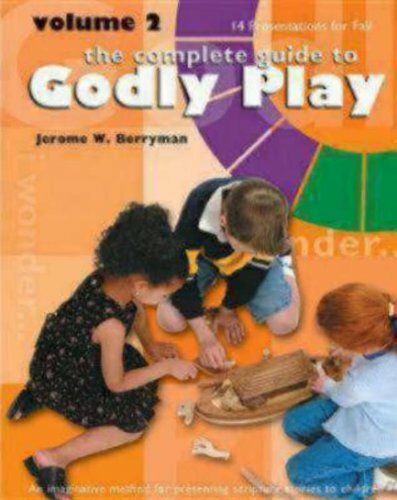 The Complete Guide to Godly Play, Volume 2 (Denver, CO: Living the Good News, 2002). 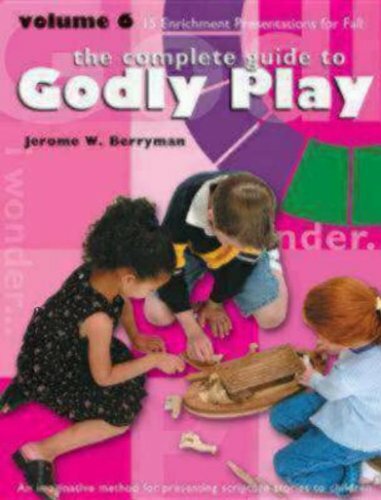 The Complete Guide to Godly Play, Volume 1 (Denver, CO: Living the Good News, 2002). 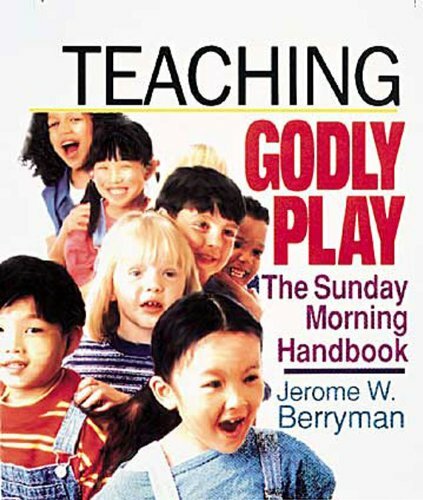 Teaching Godly Play: A Sunday Morning Handbook (Nashville: Abingdon Press, 1995). 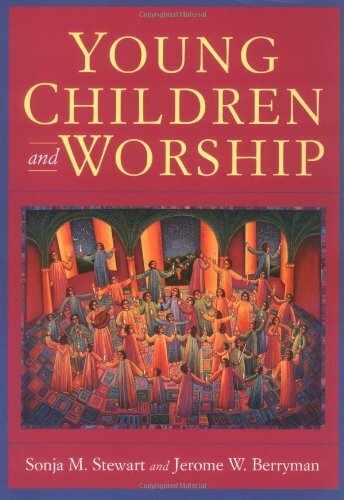 Young Children in Worship, with Sonja M. Stewart (Louisville, Kentucky: Westminister/John Knox Press, 1988). 16 printings of first edition to 2006. 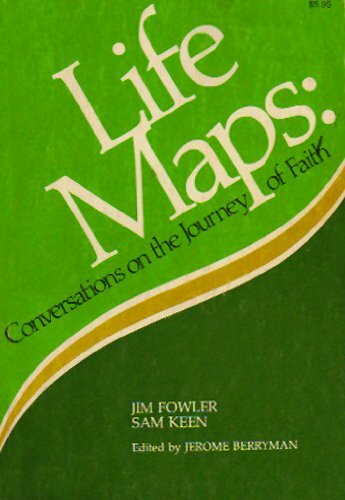 Life Maps: Conversations on the Journey of Faith, James W. Fowler and Sam Keen, ed. Jerome W. Berryman (Waco, Texas: Word Press, 1978), 4 printings of 1st edition; 2nd edition in hard cover, 1985. Contributed two additional chapters for the second edition. “The Middle Realm, the Creative Process, and the Creator in Religious Education.” CCAR Journal: The Reform Jewish Quarterly, Winter 2014, LXI/1, 21-40. “Speaking of Evil: The Struggle to Speak No Evil When Teaching about It.” Interface: A Forum for Theology in the World, Vol. 10, No. 2 (September, 2008), pp. 57-67 (Australia). “Children and Christian Theology: A New/Old Genre.” Religious Studies Review, Vol. 33, No. 2 (April 2007). “Playful Orthodoxy: Reconnecting Religion and Creativity by Education.” Sewanee Theological Review, Vol. 48, No. 4 (Michaelmas 2005), pp. 437-454. “Children and Mature Spirituality.” Sewanee Theological Review, Vol. 48, No. 1 (Christmas 2004), pp. 17-36). “Silence Is Stranger Than It Used To Be: Teaching Silence and the Future of Humankind.” Religious Education, Vol. 94, No. 3 (Summer, 1999), pp. 257-272. “Laughter, Power, and Motivation in Religious Education,” Religious Education, Vol. 93, No. 3, (Summer, 1998), pp. 358-378. “Spirituality, Religious Education, and the Dormouse,” The International Journal of Children’s Spirituality, Vol. 2, No. 1 (September, 1997). “Teaching Godly Play,” PACE: Professional Approaches for Christian Educators Vol. 26 (September, 1996). 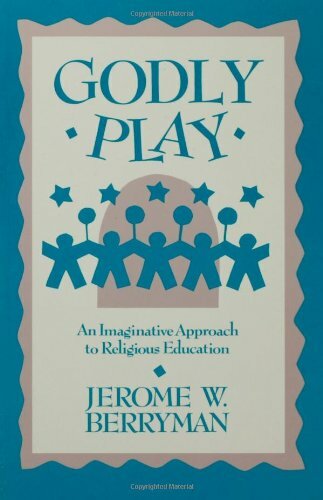 “Godly Play: A Way of Religious Education,” PACE: Professional Approaches for Christian Educators Vol. 25 (April, 1996). “Montessori Religious Education: Sofia Cavalletti (1917- ),” PACE: Professional Approaches for Christian Educators Vol. 23 (May,1994), pp. 3-7. “Montessori Religious Education: E. M. Standing (1887-1967),” PACE: Professional Approaches for Christian Educators Vol. 23 (April, 1994), pp. 3-7. “Montessori Religious Education: Maria Montessori (1870-1952),” PACE: Professional Approaches for Christian Educators Vol. 23 (March, 1994), pp. 8-12. “The Old Becomes New: Experiencing Repetition without Getting Bored,” Reformed Worship No. 32 (June, 1994), pp. 16-17. “Teaching As Presence and the Existential Curriculum,” Religious Education Vol. 85, No. 4 (Fall, 1990), 509-534. “Children in Worship: An Ethic of Respect,” Liturgy: Ethics and Justice, Vol. 7, No.4 (Spring,1989). “Children’s Spirituality and Religious Language,” British Journal of Religious Education, Vol. 7, No. 2 (Summer, 1985), 120-127. “Becoming Fundamentally Scriptural Without Being Fundamentalistic,” Scriptura (The University of Stellenbosch, Republic of South Africa), Vol. 14 (May, 1985), 25-74. “A Comment On An Article By Eugene J. Mischey,” Character Potential: A Record of Research, Vol. 9, No. 4 (Spring, 1981), 186-189. “Religion and Montessori,” Religious Education, Vol 75, No. 3 (May-June, 1980), 271-285. “Being in Parables with Children,” Religious Education, Vol. 74, No. 3 (May- June, 1979), 271-285. 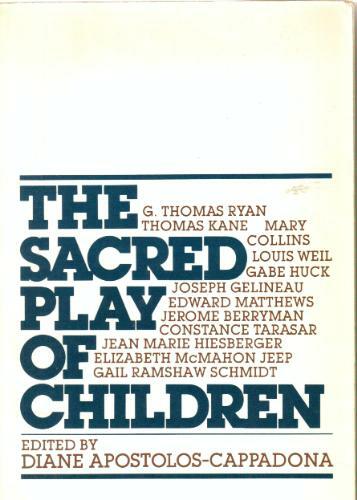 “Godly Play Method” in Encyclopedia of Christian Education, George Thomas Kurian and Mark A. Lamport, eds, (Eugene, OR: Scarecrow Press, A Division of Wipf and Stock Publishers, forthcoming 2014). “Formation” in Encyclopedia of Christian Education, George Thomas Kurian and Mark A. Lamport, eds, (Eugene, OR: Scarecrow Press, A Division of Wipf and Stock Publishers, forthcoming 2014). “The Transforming Moment and Godly Play” in The Logic of the Spirit in Human Thought and Experience: Exploring the Vision of James E. Loder, Jr. Dana R. Wright, ed. (Eugene, OR: Pickwick Publications, A Division of Wipf and Stock Publishers, forthcoming 2014). “Playful Orthodoxy: Religious Education’s Solution to Pluralism” in Education, Religion and Society: Essays in Honour of John M. Hull, Edited by Dennis Bates, Gloria Durka and Friedrich Schweitzer (London: Routledge, 2006). 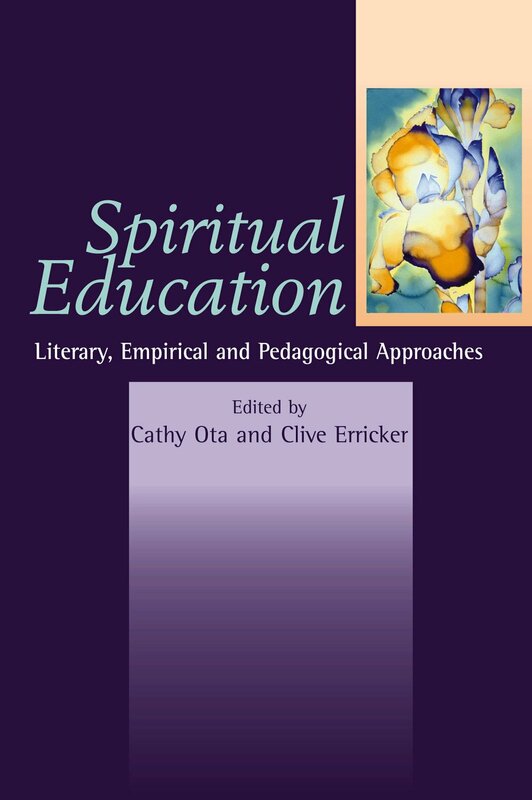 “Play as a Means of Grace in Religious Education” in Spiritual Education: Literary, Empirical and Pedagogical Approaches. Edited by Cathy Ota and Clive Erricker. (Brighton, United Kingdom: Sussex Academic Press, 2005). 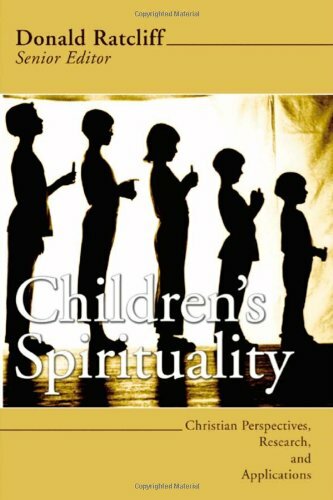 “Children and Mature Spirituality” in Children’s Spirituality: Christian Perspectives, Research and Applications, Senior Editor, Donald Ratcliff (Eugene, Oregon: Cascade Books, 2004). 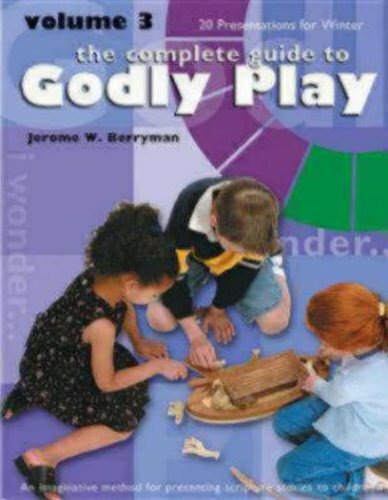 “Forward” in The Complete Guide To Godly Play, Volume 5 (Denver, Colorado: Living the Good News, 2003). “Discoveries in the Desert” in The Upper Room Disciplines (Nashville, Tennessee: Upper Room Books, 2002). 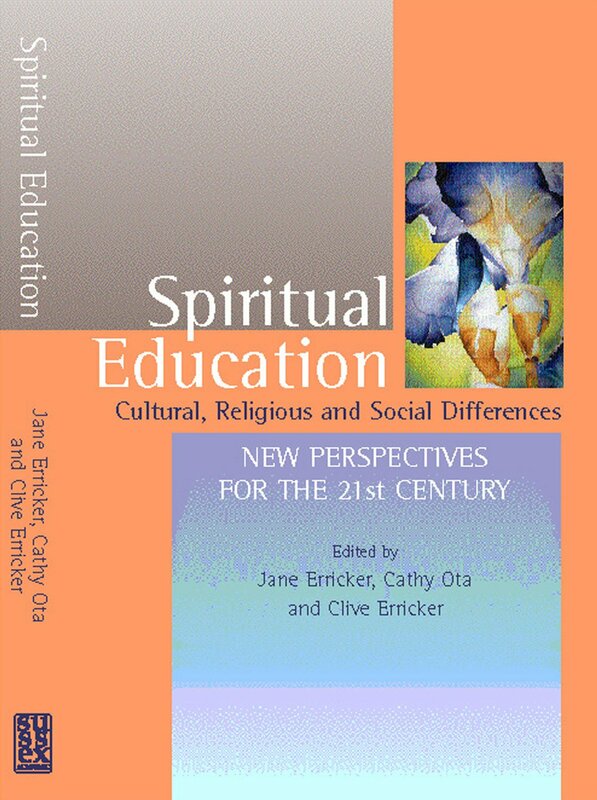 “The Nonverbal Nature of Spirituality and Religious Language” in Spiritual Education: Cultural, Religious and Social Differences. (Brighton, United Kingdom: Sussex Academic Press, 2001). “Images of Childhood, Spirituality, and Organized Religion,” in Celebrating Passages in the Church: Theology and Practice, ed. Hugh W. Sanborn (Houston, Texas: Searchlight Press, 1996). “Celebrating the Transition to Childhood,” in Celebrating Passages in the Church: Theology and Practice, ed. Hugh W. Sanborn (Houston, Texas: Searchlight Press, 1996). “The Young Child and Scripture” in Beginning the Journey: From Infant Baptism to First Eucharist (Washington, D.C.: Department of Education, United States Catholic Conference, 1994). “Comments on the article by Eugene J. Mischey,” in Christian Perspectives on Faith Development: A Reader, eds. 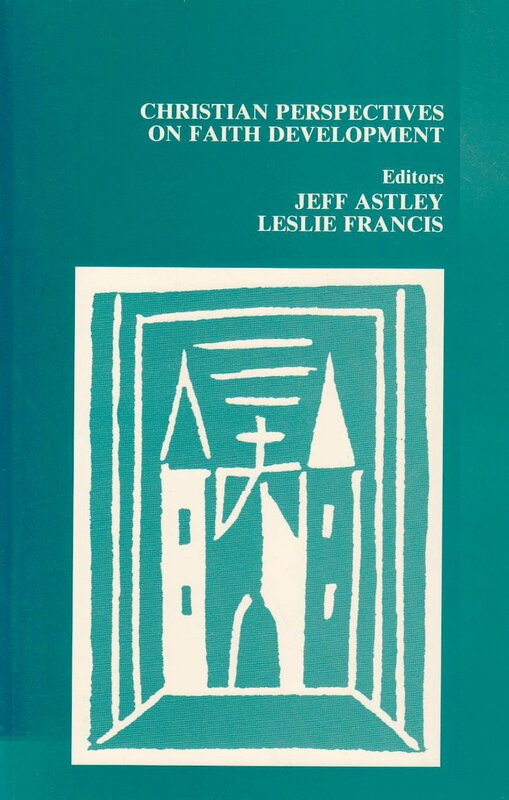 Jeff Astley and Leslie Francis (Leominister, England: Gracewing Fowler Wright Books, 1992). “Faith and the Language of Faith,” in Handbook of Children’s Religious Education, ed. 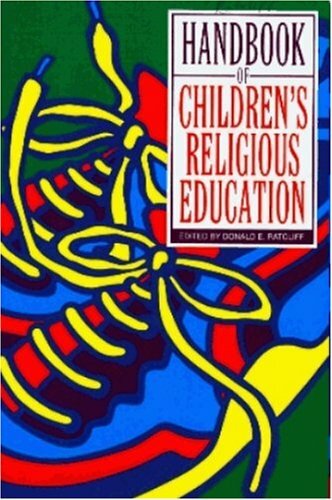 Donald Ratcliff (Birmingham, Alabama: Religious Education Press, 1992). “Parable,” in Harper’s Encyclopedia of Religious Education, eds. Iris V. Cully and Kendig Brubaker Cully (San Francisco: HarperSan Francisco, 1988), pp. 469-470. “Imagination,” in Harper’s Encyclopedia of Religious Education, eds. Iris V Cully and Kendig Brubaker Cully (San Francisco: HarperSanFrancisco, 1988), 320-321. “Montessori, Maria,” in Harper’s Encyclopedia of Religious Education, eds. Iris V. Cully and Kendig Brubaker Cully (San Francisco: HarperSanFrancisco, 1988), p. 424. “The Illusive Use of Religious Language in Childhood” in Kasvatus Ja Uskonto, ed. Markku Pyysiainen (Helsinki, Finland: Werner Soderstrom Osakeyhtio, 1988), 214-99. “The Chaplain’s Strange Language: A Unique Contribution to the Health Care Team” in Life, Faith, Hope, and Magic: The Chaplaincy in a Children’s Cancer Center (Austin, Texas: The University of Texas Press, 1985). 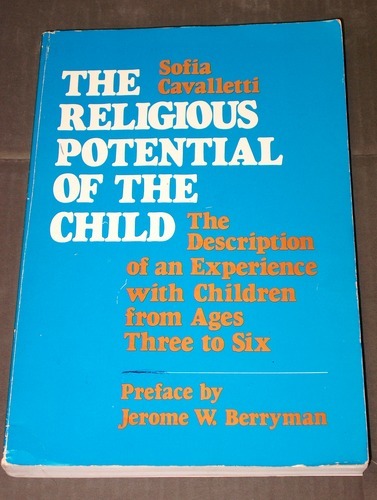 “Preface to the English Edition” in The Religious Potential of the Child (New York/Ramsey: Paulist Press, 1983) by Sofia Cavalletti. Translated from Il Potenziale Religioso del Bambino (Roma: Citta Nuova Editrice, 1979). This was the first edition published in English. “The Rite of Anointing and the Pastoral Care of Sick Children” in The Sacred Play of Children, ed. Diane Apostolos-Cappadona (New York: Seabury Press, 1983). “Theological Play and Pediatrics,” in Nursing, Mental Health, and Medicine: Intersections in Health Care Perspectives (Springfield: Charles C. Thomas, 1982). “Talking Ethics with the Child” in Research in Children, ed. Jan van Eys (Baltimore: University Park Press, 1978). “Lent and the Coming of Easter,” in Pockets (Nashville, Tennessee: The Upper Room, April, 1984), Vol. 4, No. 3. “Keeping Church Time,” in Pockets (Nashville, Tennessee: The Upper Room, March, 1984), Vol. 4., No. 2. “Lost”, in Pockets (Nashville, Tennessee: The Upper Room, January/February, 1984), Vol. 4, No 1. “The Middle Realm.” Episcopal Teacher. Fall 2013, Vol. 26, No. 1. 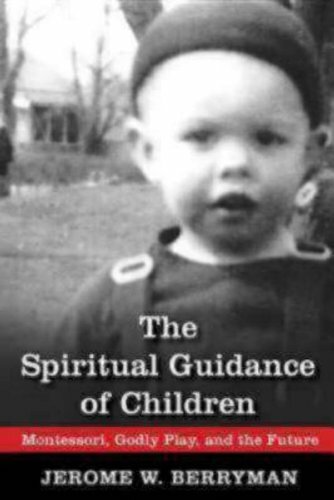 “The Spiritual Guidance of Children.” Association of United Church Educators (Winter 2010). “Stalking the Wild Story,” The Flyleaf, Friends of Fondren Library (Rice University) Vol. 47, No. 2 (Spring, 1997). “Through the Looking Glass: Godly Play and the Spirituality of Children,” The Institute of Religion Psychiatry and Religion Conference, Texas Medical Center, Houston, TX, October 7-8, 1993. (video and audio available from the Institute). “Children and Spirituality,” Montessori Life: A Publication of the American Montessori Society Vol. 4, No. 4 (Fall, 1992), pp. 37-42. “Religious Development and the Role of the Parents,” New Catholic World, Vol. 227, No. 1361 (September-October, 1984), 206-210. “Caring for Sick Children: The Parish, the Hospital, and Theological Play,” Liturgy: Ministries to the Sick, Vol. 2, No. 2, 1982, 47-53. “Religious Images, Sick Children, and Health Care,” Children in Health Care: Ethical Perspectives, Association for the Care of Children’s Health Special Edition (Spring, 1981), 19-31. Book Review of “Empty Hands,” World Council of Churches, Geneva: 1980. Religious Education, Vol. 76, No. 6 (November-December, 1981), 672-673. “Religion and Montessori,” The American Montessori Society Bulletin, 1981. “Book Review of Jesus and the Children, Hans-Reudi Weber. Geneva: World Council of Churches, 1979. Religious Education, Vol. 75, No. 2 (March-April, 1980), 222-223. “Children’s Sermons and Liturgy,” Catalyst Tapes (May, 1980), Vol. XII, No. 8, Waco, Texas. “A Gift of Healing Stories for a Child Who Is Ill,” Liturgy, Vol. 24, No. 4 (July-August, 1979), 15-20, 38-42. “The Child As Symbol and Creative Force,” Houston, Texas: Holistic Health Association of America (Conference Publication: June, 1979). “Teaching the Tools for Creative Justice: Rules and Parables,” Washington, D.C.: TIME Consultants (Conference Publication: March, 1979). “Sofia Cavalletti: A Brief Introduction and Bibliography,” The Constructive Triangle, Vol. V, No. 1 (Spring, 1978), 32-45. “An Urban Reader’s Guide: Religion, Annotated Bibliography with An Introduction,” (Houston Public Library, City Project, 1977), funded by The National Endowment for the Humanities. “Faith Growth in Children,” Catalyst Tapes (October, 1976), Vol. VIII, No. 10, Waco, Texas.